Time to put your gear away and winterize the boat – it’s too cold for Bass to bite, right? Have to give you a big fat no on that one. This is the time to chase giants. As Fall sets in, the days are shorter, and the sun sits lower causing air and water temps to drop. 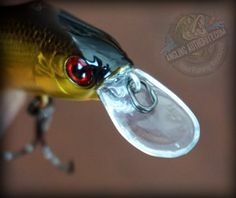 This will drive baitfish up on shallower structure in search of warmer water, thus, attracting hungry opportunistic Bass. Southern Ontario tournament angler, Chris Huskilson has a few approaches to finding active Smallmouth (and Largemouth alike), as do I, so let’s delve into it. Chris explains, “I target Smallmouth that will tend to move up on shallow, rocky structures (4’-6’ in depth) that are feeding on schools of baitfish.” Chris targets main lake humps, points and saddles directly adjacent to deeper water. (Saddles are connecting structures that run between islands and from points to islands etc…) At this time of year, Chris puts away his crayfish (crustacean) imitators and focuses solely on local baitfish colors that are in turn, what Smallmouth target later in the season. 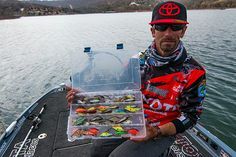 Chris leans on several techniques during this time of year including the drop shot rig, tubes, swimbaits, fluke style baits and as most Bass anglers use in the Fall, jerkbaits. For drop shot rigs, Chris will target suspending Bass so he will rig the bait 24” above the weight, sticking with a baitfish color imitation, his bait of choice being a Jackall Super Pin Tail”. Other baits that I myself have had success with have been Bass Magnet Lures “Twitch” and “Quiver Sticks” and at times, their “Shift’r Shad” swimbait (that’s right, I drop shot swimbaits!) For Chris’ drop shot needs, he goes with a 7’2” medium action Shimano Cumara, paired with a Shimano Stradic C14 2500 FA reel, spooled with 8lb Power Pro, and an 8lb fluorocarbon leader tied to a #1-#2 drop shot hook. Contrary to popular belief, you can cover a lot of water with this relatively slow, do nothing presentation. Drifting and slow rolling retrieves over key locations can, and will, be seen by many Bass provided you have them in your sights. Look for bait busting or bait balls on your electronics and start there. Here’s a trick from yours truly – try using an EZ tube rattle as the weight. Yeah, I said it! Another rig Chris likes to show hungry Fall Bass are swimbaits. “I will nose rig a Jackall “Clone Fry” swimbait on a 1/16oz nose jig and simply just slow roll it. Big Smallmouth cannot stand this presentation and absolutely smash this rig!” His rod/reel/line set-up of choice here is the same as his drop shot combo. “This rod makes long casts, with a reel that has an uncompromised drag system and the perfect power/action to absorb the runs and acrobatics that we love about Smallmouth”. The next weapons of choice that Chris utilizes are tube jigs. 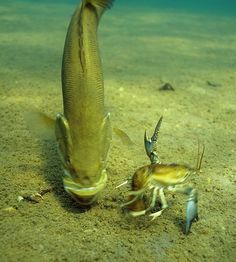 Many anglers use tubes exclusively to work the bottom to mimic crayfish, but such is not the case here. Tubes are an effective dying baitfish presentation as well. They key is the way a tube spirals erratically down through the water column triggering a reactionary response from predatory gamefish. 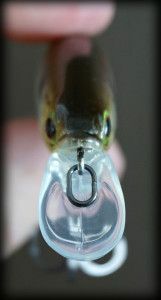 Chris explains “I rig a Bass Magnet Lures tube onto a 5/16oz, 60 degree Bass Magnet Lures tube jig head. I make quick, short hop/lifts while keeping my line taught while the bait falls, which pulls the bait towards the boat rather than falling straight back to the bottom which gives it a baitfish appearance”. (The tube appears to be swimming yet potentially injured or apart from the school in this case). For tubes, Chris relies on a beefed up 7’2” med-heavy Shimano Cumara paired with the Stradic 2500 C14 FA spooled with 15lb Power Pro, coupled with a 10lb Fluorocarbon leader. “Long casts, smooth drag, and plenty of meat to bury a hook at a distance” he explains. Another favorite presentation of Chris is a “fluke” style bait rigged on 3/8 mushroom head jig. Fished the same way as tube, on the same set-up, the same baitfish colors can be super deadly in the Fall. The beauty here is that nobody throws these anymore. 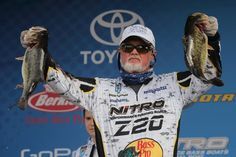 It’s an older presentation that Bass just don’t see these days, which I believe anglers should always keep in mind. Show them something out of the norm, and conditioned, pressured fish will be more apt to give it a taste. Now, last but not least, jerkbaits. For me, this is the ultimate presentation, especially as the fall presses on. Even the coldest waters will cough up some giant Bass when a jerkbait is presented properly. My rule of thumb is simple – the colder the water, the longer I will pause the bait between twitches. A large percentage of strikes will inevitably come on the pause, so really give them time to take a good look at the bait. You’ll notice a mushy feel on the line during twitches, almost as if you’ve hung up on a weed which is a Bass mouthing it but not committing. The pauses, which, at times may be as long as 15-20 seconds, become a trigger to lethargic, cold water bass. Where do I look for Bass? I look for shallow, rocky structures that hold bait. I think the key spot will be banks and points, facing the sun throughout the day. I favor medium-medium heavy 7’ spinning combos, 20lb braid paired with 12lb fluorocarbon leaders for this late fall task. An honorable mention goes to Colorado spinnerbaits, but that’s another story. That’s it, that’s all folks. 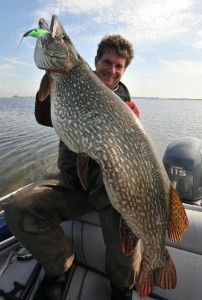 CLfishin, Water Wolf Lures, Handlebarz Musky Lures, Shimano/Gloomis/Power Pro/Jackall, Muskies Canada Ltd., Huskie Muskie Leaders, Muskallure Custom Crankbaits, Smith Optics and Frabill.